India is famous for being home to various religious identities, one of them is- Hinduism, which is also an indispensable part of India’s cultural and religious heritage. Come visit the 12 Jyotirlinga of India, known for the spiritual illumination they provide. Visit a part of India which is spiritual and aesthetic at the same time. 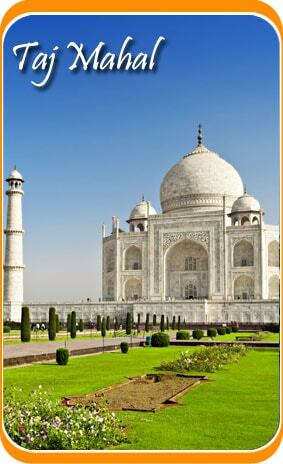 Enjoy 12 Jyotirlinga Darshan tour package by Travelsite India and relish India’s religious taste. 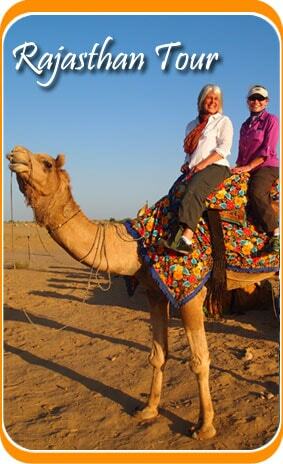 Arrive at Jamnagar and proceed towards Dwarka by road which is also one of the most famous Chardhams of India. Upon arrival check into hotel and relax. By the evening we would go to Arti and Darshan at the Dwarkadish Temple. Stay at the hotel. Visit Dwarkadish Temple in the morning and stay there for the Darshan. Then, visit Beyt Dwarka and on the way we would attend the Abhishek of Nageshwar Jyotirlinga and then visit Rukmani Temple. After the lunch we drive to Somnath and check in to the hotel. In the evening go for arti at the Somnath Temple. Stay t the hotel for the night. Go and visit the Somnath Temple early in the morning. After breakfast, go to Diu Airport and board a flight to Mumbai. Upon arrival we would move to Trimbakeshwar Jyotirlinga in Nasik, by road. Experience, the evening Arti at the Jyotirlinga. Stay at the hotel. After the breakfast and your morning visit to at Triambakeshwar temple continue your journey to Bhimashankar temple in a journey of six hours. After Darshan leave for Shirdi en route visiting Shani Shingnapur and then visit Sai baba Samadhi for VIP Darshan. Stay at the hotel. Visit Sai baba temple for Kankad Arti. After the breakfast drive to Aurangabad. Visit the Ghrisneshwar Mahadeo Jyotirlinga. Stay at the hotel for the night. Move to Aurangabad Airport and board a flight to Indore and then continue on a road journey to Ujjain. Have a Darshan at Mahakaleshwar Jyotirlinga. Later in the day visit the Aadi shakti temple and Bhairav Nath temple. Saty at the hotel in Ujjain. Go to Omkareshwar temple by road which is 4hrs away. Have Darshan at Omkareshwar Jyotirlinga and then stay at the hotel for the night. Go for an early morning Darshan at the Omkareshwar Jyotirlinga and then proceed your road journey to Maheshwar Jyotirlinga. Check into the hotel. In the evening go for Darshan and aarti at the Maheshwar Temple and attend the pre-booked Bhasm arti. Stay at the hotel. After the visit to Maheshwar Temple drive to Indore and then board a flight to Hyderabad. Upon arrival drive to Sriselam and then check into the hotel and stay. After Darshan to Mallikarjun Jyotirlinga drive to Hyderabad Airport and board a flight to Madurai. Upon arrival visit the Meenakshi Amman Temple and then after the Darshan move towards the Char Dham destinations with a road journey of 4hrs. Check into the hotel and stay. Start early at 4AM for Mani Darshan, Samudra Snan, Kund Snan and Abhishekam at Rameshwaram temple. After breakfast, return to Madurai and then catch a flight to Delhi. As soon as you reach Delhi begin your road journey to Haridwar. Upon arrival, check into the hotel for overnight stay. Start your road journey to Guptkashi. Check into the hotel after arriving. The rest of the day is at leisure. You can visit places such as Vishwanath temple, Ardhanareshwar Temple etc. at the vicinity of the hotel. Stay for the night. Move to Phata Helipad and board a Helicopter to Kedarnath. Spend an hour or two at the temple for Darshan. Get the priority Darshan tickets available only for Helicopter users. Then we move back to Phata by Helicopter. Move to the hotel and stay. On this day we move to Badrinath via Joshimath. Upon arrival, check into the hotel. Visit the Badrinath Temple for Darshan in the evening. Also visit the Tapt kund and take a bath there before visiting the Badrinath Temple. Return to the temple and stay for the night. After breakfast and an early morning Darshan to the Badrinath Temple, we would visit sites such as the Mana Village, Vyas Gufa and Ganesh Gufa, which have their mention in Mahabharata. By afternoon we would proceed to Rudraprayag via karanprayag. Upon arrival check into the hotel and then the day is at leisure. Move towards Rishikesh today and visit sites such as Ram Jhula and Laxman jhula. Then we would again move to Haridwar. Upon arrival, Visit the Har ki Pauri for the Ganga Arti. Later, at the Haridwar railway station, board the train to Varanasi. Overnight Train. Check into the hotel as you reach Varanasi. Go for Ganga Arti in the evening which is the religious peak and mesmerizing also. Go back to the hotel and stay for the night. Board a flight to you home place from Varanasi Airport. Your 12 Jyotirlinga Darshan tour ends here.